Bikefest FLASH DEAL Ends This Weekend! | Crystal Water Villas Blog - Lake of the Ozarks! Bikefest FLASH DEAL Ends This Weekend! 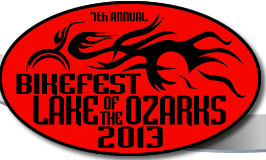 First off, we’re excited to announce that this year’s Lake of the Ozarks Bikefest was a HUGE success! A huge turnout but few problems, according to officials who’s attention was focused on the record number of bikers who turned out for the 2013 Bikefest. Preliminary estimates indicate 2013 was a record year for attendance. Bikefest officials estimate the crowd easily exceeded the 20,000 participants or 10,000 bikes that were expected. Motorcycle enthusiasts began arriving Thursday. Bikefest is becoming one of the largest events of the year at Lake of the Ozarks, attracting bikers from across the Midwest. Even though the Bikefest is over for this year, you can still take advantage of our discount. If you’re looking for quick getaway this weekend, we have plenty of vacation rental properties for you to choose from. And we’re offering 15 percent off of the nightly rate! Offer is for Bikefest participants staying from now until 9/22. Use offer code: HARLEY to get your discount!